Download this free PDF document below. 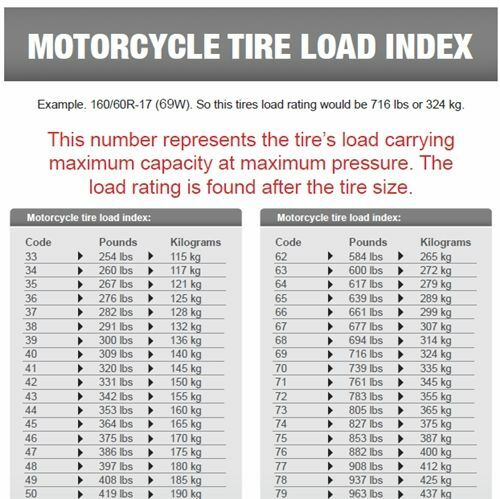 Motorcycle Tire Load Index and Speed Ratings has been created in a PDF and may be downloaded free. It's 5 pages in length. This PDF document is free, printable, and unbranded. INSTRUCTIONS: Download from the link below. This file has been archived in a ZIP file. Uncompress the file and save your desktop. Open the PDF file and print.